Run Dribble in a standalone window. Is there a better alternative to iDribbble? Is iDribbble really the best app in Internet Utilities category? Will iDribbble work good on macOS 10.13.4? 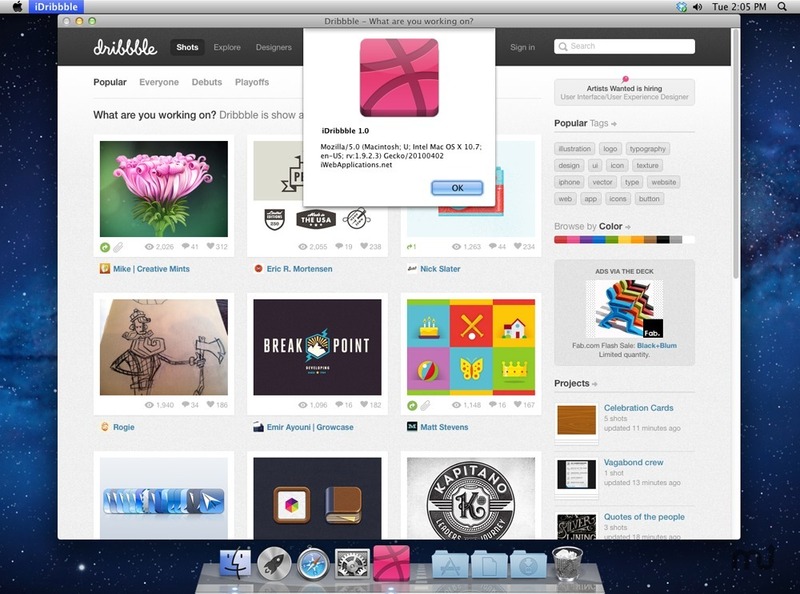 iDribbble is a Mac OS X Web service that allows you to run Dribbble as an application without opening a browser. It supports all Dribbble features and has some extra features as well. Currently can run only on Applications folder. iDribbble needs a review. Be the first to review this app and get the discussion started!